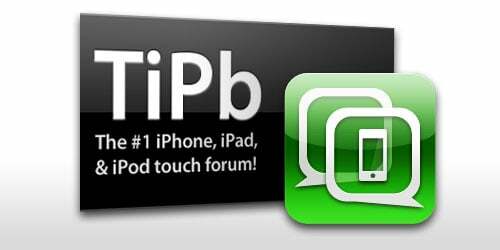 It's already June 21 in many parts of the world -- just not Cupertino, California -- so if you're up and waiting for iOS 4 to be released, why not wait in style with the TiPb Forums? The forums are a great place to talk, commiserate, celebrate, get help, and offer advice to your fellow iPhone and iPad users. In order to create a new thread of your own or reply to any of the existing threads, you must be a registered member. Becoming a member is easy and free so if you haven't already head on over and register now! When is iOS 4 going to be available for download? iPhone OS 3 hit around 10:30am PT/1:30pm ET, will Apple keep to the same schedule this year? Place your bets! How's battery life with iOS 4? Does the new OS save power, or do the new features simply offer more ways to drain it? Weigh in! iOS 4 compatible apps list. Have your must-have apps been updated for iOS 4? Have you heard when they will be? Check the list! iOS 4 got you thinking of switching from Android, BlackBerry, or webOS? There a thread for each one so check the forum out! It's go time TiPb nation. All that's left is the waiting. Hit the forums and let's wait around together!